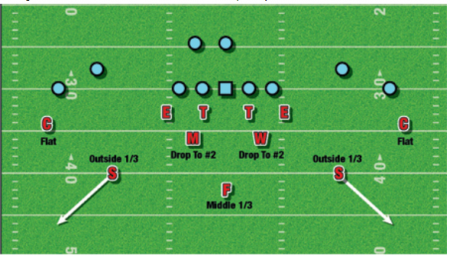 Cover 3 can be a great base coverage, or compliment to more man coverages and pattern match coverages. Not all Cover 3 coverages are created equal. In today’s episode of the JDFB Quick Clinic, we’re looking at a variation on Cover 3 that is a bit of a Tampa 2 hybrid. We’ll look at the advantages and disadvantages of this variation of the coverage, against the run and the pass. Check it out to see if this is a good adjustment for your team! This question was sent from Marcello by email. You can send in your questions for the JDFB Quick Clinic by messaging me on Twitter @footballinfo or sending an email to me at [email protected].